I would like to share with you a copy of this letter I received from Sir Edmund Hillary. 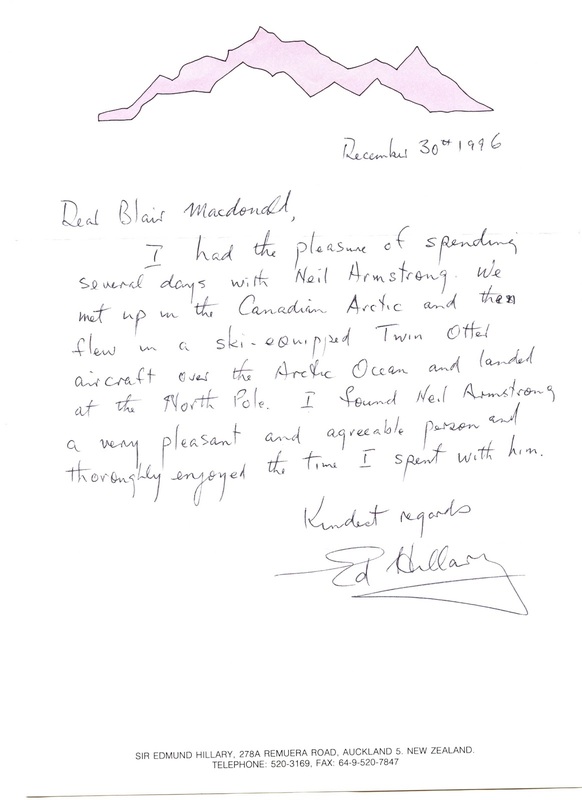 In early 1996 I wrote a him asking whether he had met Neil Armstrong - at the time I thought the two of them to be two of our greatest explorers (alive). I recall writing that if you hadn't, then maybe they should. Both continue to inspire me greatly.